Huntkey power strips have been designed keeping in mind convenience of use, functionality and portability. Apart from excellent quality and safety, these power strips come with a touch of style. 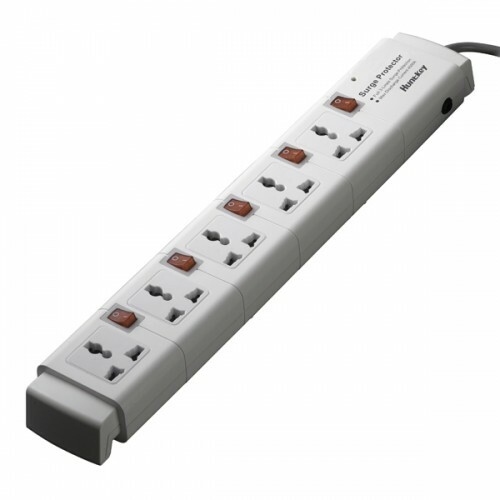 The Huntkey Power Strip PZC504-2 comes in a sober white colour. With five sockets on it and proper spacing between them, you can connect plugs effortlessly. Also, each socket has an independent switch for easy use. It comes with full 3-lines surge protection inside (L-N, L-PE, N-PE). The maximum spike current is 4,500 amps. The sensitive overload protector saves from overload. All you need to do is just push the button and the overload status comes back to the normal status. It also has an independent three-wire lightening-protection switch.